The Bourgeois Re-Colonisation of the British Sea-side. One of the interesting things about the British Sea-side is its partial return to the field of bourgeois leisure possibilities. 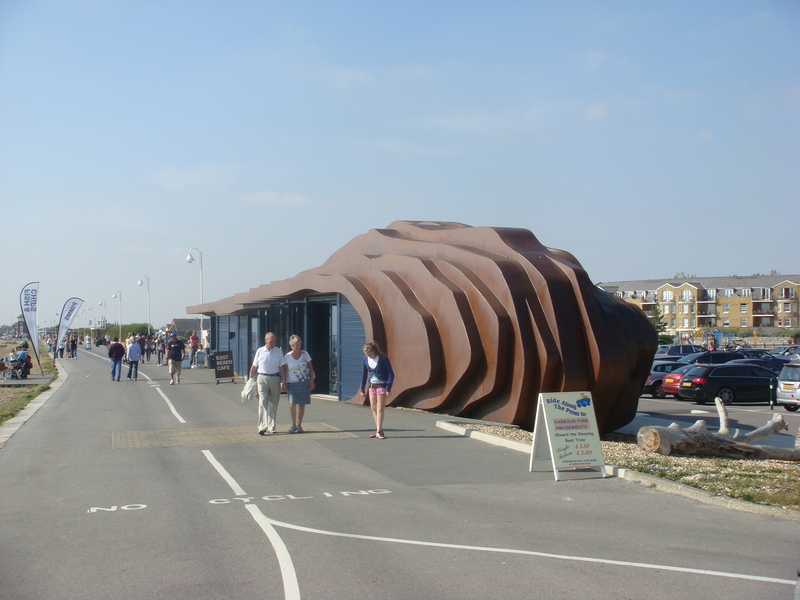 Consider these architectural structures from (what is effectively) either end of Littlehampton Promenade. 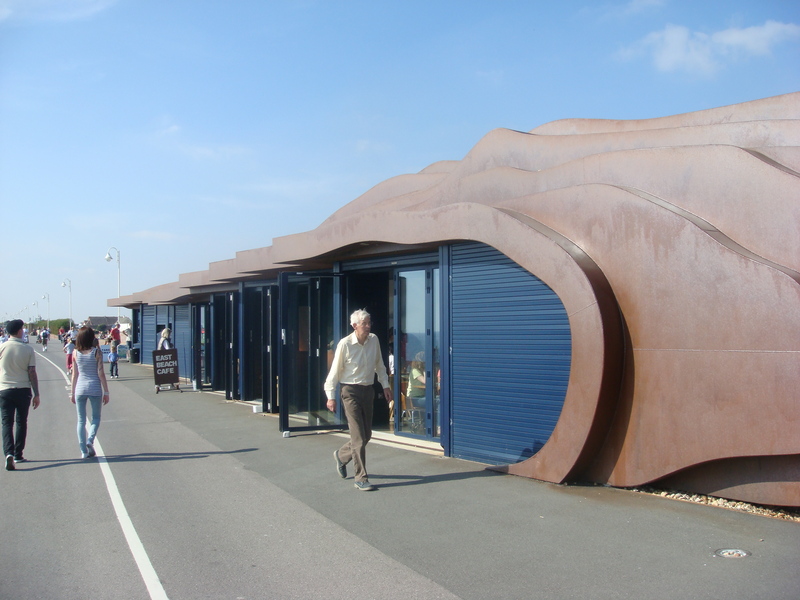 First we have a set of kiosks in a rather remarkable flowing concrete style. 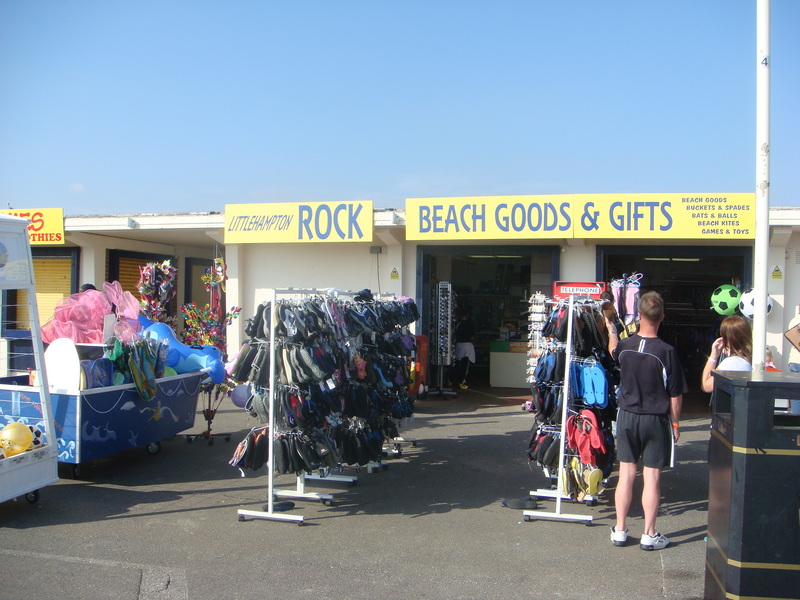 These are an extension of the leisure industry complex (now called Harbour Park but with a long pedigree) that lies behind the shore. 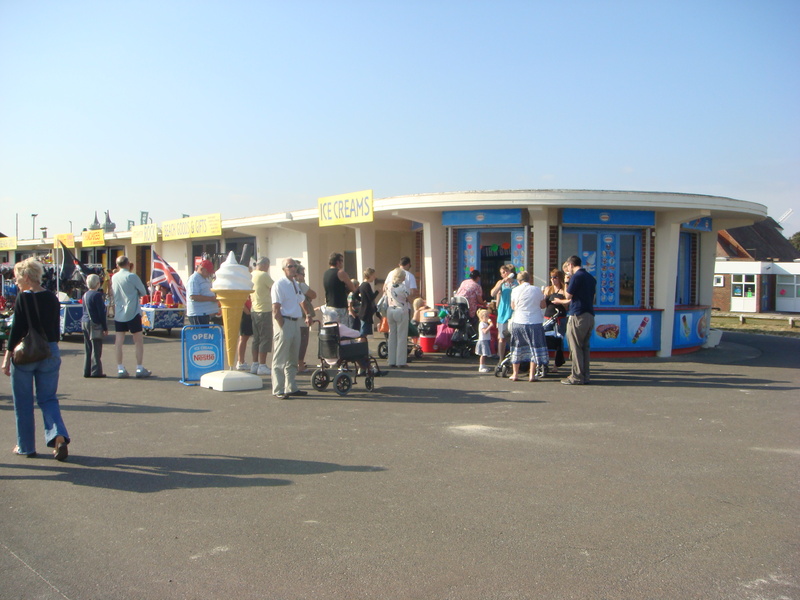 Theses kiosks are for the sale of plastic beech goods (parti-coloured windmills and so forth), the greasy food of the english sea-side, rock (of course), & big brand ice-creams. They are somewhat tacky and down-at-heel and essentially class (or perhaps distinction) less and thus utterly opposite the next architectural form we need to consider. 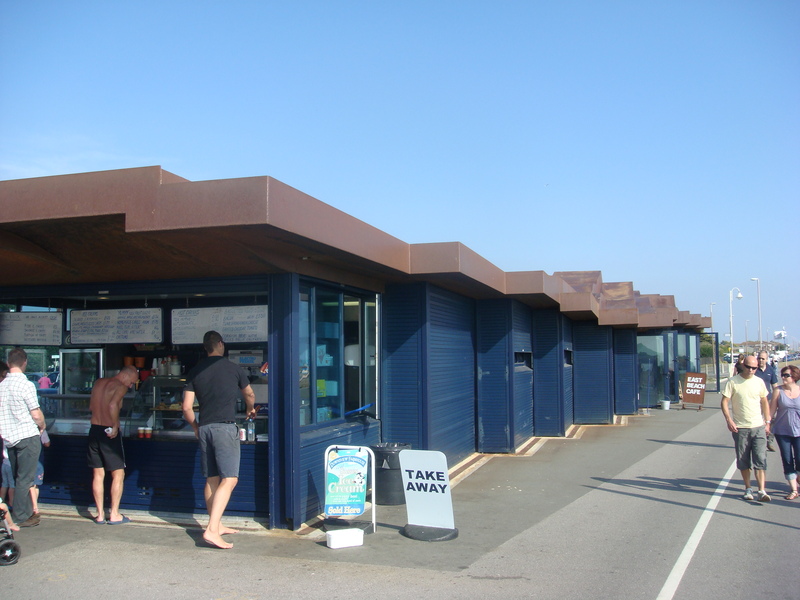 The East Beach Cafe is perhaps an even more remarkable architectural form (and from my own experience an effective Faraday Cage) but it is its class (or distinction) opposition to the flowing concrete kiosks that is of interest. 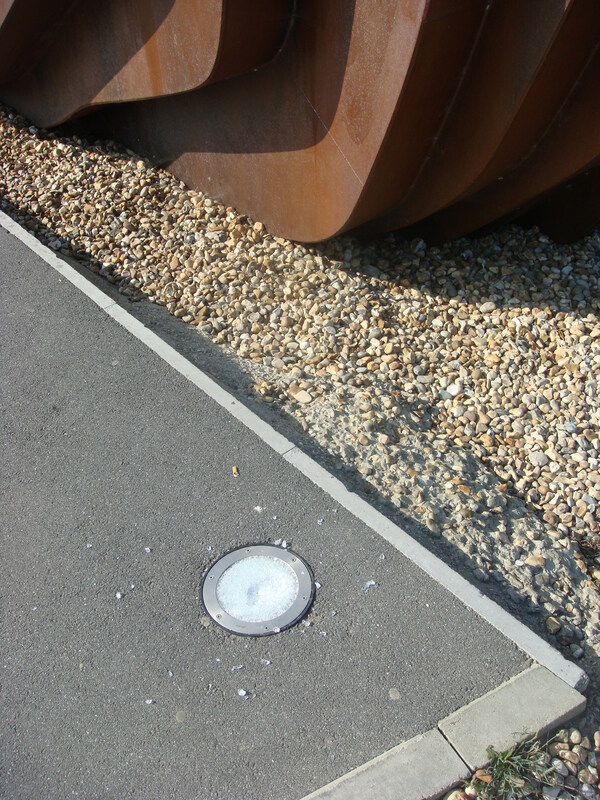 This photograph contains a hint of the distinction function of this structure and business; the broken floor light in the right foreground is not the only one of the cafe’s illuminations to have been ‘vandalised’ (more below). The differences are perhaps clearest in the type of ice cream advertised for sale at the two different locations; Nestle’s at the kiosks and Downsview Farmhouse (a ‘locally sourced’ item) at the cafe. 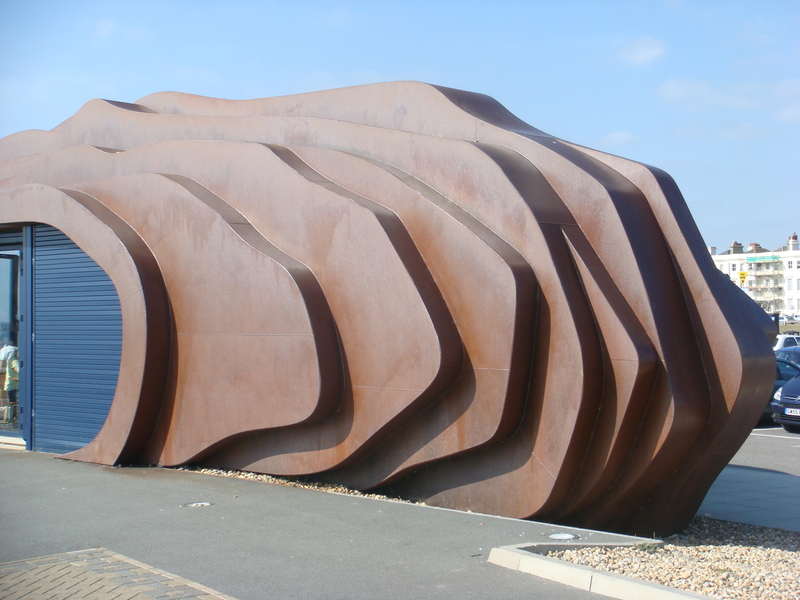 The ‘rusted’ metal insanity of the East Beach Cafe is emblematic of the re-gentrification of this part of the british sea-side. 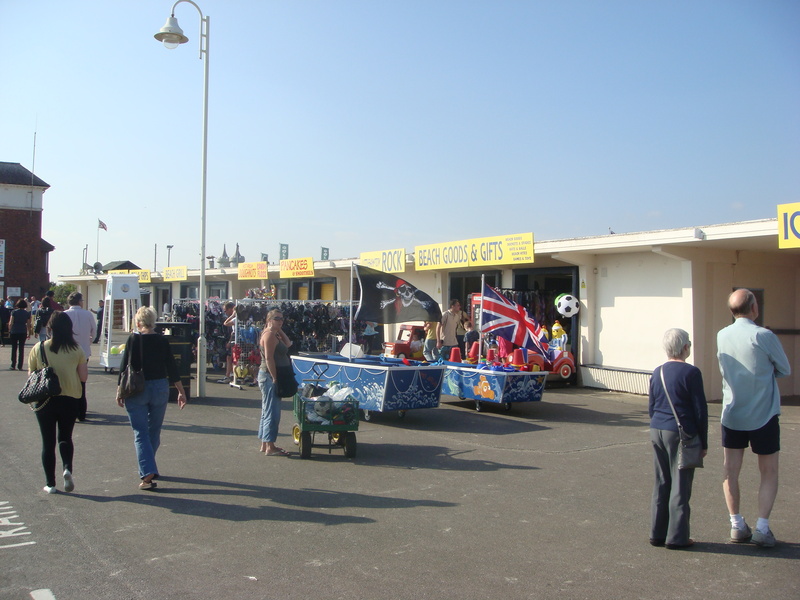 The whole of the South East of England was very strongly effected by the last asset price bubble in the housing market and Littlehampton was the site of a great deal of housing development – especially along the town-side bank of the river Arun – and this has brought a wave of settlement by more affluent people who require services and goods that meet and mark their status regardless of the economic & status conditions of the surrounding community (hence the appearance of shops such as this – cycling having moved firmly into a bourgeois orbit in the past decade because of its green distinction function). Home (or second-home) ownership is not the only cause of this bourgeoisification of the sea-side. The distinction function of green & of ecological symbolism also plays a part. The Britain and the other island of our archipelago are sufficiently small that one is never very far from the sea and either via the still functioning remnant of our public transport system or by ecologically friendly automobile one can easily indulge in leisure by the sea with a relatively limited ecological effect thus proving ones green bona fides. Combine this with the continuing importance of the sun spots of the Mediterranean – especially Spain – to the upper-working class & petit-bourgeois and we can see that the sheer absence of the less capitalised social group (always a welcome dimension of status play) allows the british sea-side to act as a field of bourgeois distinction. The opposition to this bourgeois incursion is plain to see in the response to the the East Beach Cafe. Most of the illumination lights positioned around the cafe in order to render it visible at night where broken in this fashion at the time of this particular visit. The uncleared away glass that is obviously visible in this photograph testifies to this being recent(ish) damage (at the time of the image) and it seems likely that the cafe and the local youth population are already engaged in the endless call-and-response of vandalism & repair. The class disposition issues of this are obvious; one local group feel as though the cafe is not for them because they recognise its symbolic violence and exclusion activity and react with the damage to property that is the most common class response of the excluded.